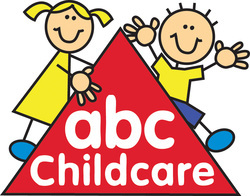 Hello and welcome to ABC Childcare’s website. It is our aim at ABC that your child has a happy and enjoyable experience and will develop to his or her full potential. Development is not limited to academic achievement but also in the areas of social, emotional, physical and confidence building. Please call us to arrange an appointment to come and see our crèche as we would love to show you our facility, explain what we do and what makes us different. In the meantime please have a look around our website for some more information. Qualified, professional, caring and experienced staff. A key-worker system: one person who is responsible for your child's individual development. An in-house chef who prepares quality home cooked meals in our own kitchen, with the best of ingredients. We are constantly complimented on the caring attitude of our staff which is reflected in our testimonials. ABC has and open door policy where parents can come and go as they please. We use a fob and code security system which grants you access to the building and to your child's room. Check out our parents corner for more information! Our centre is purpose built and all rooms open onto the play area which has soft surface and age appropriate equipment. Our rooms are bright, spaceous and child friendly. Our 'Natural Garden' has a mud kitchen, digging area, fairy garden and a built-in covered sand pit.